Almost every time our company goes out to unclog a sewer pipe this is what we find inside them. 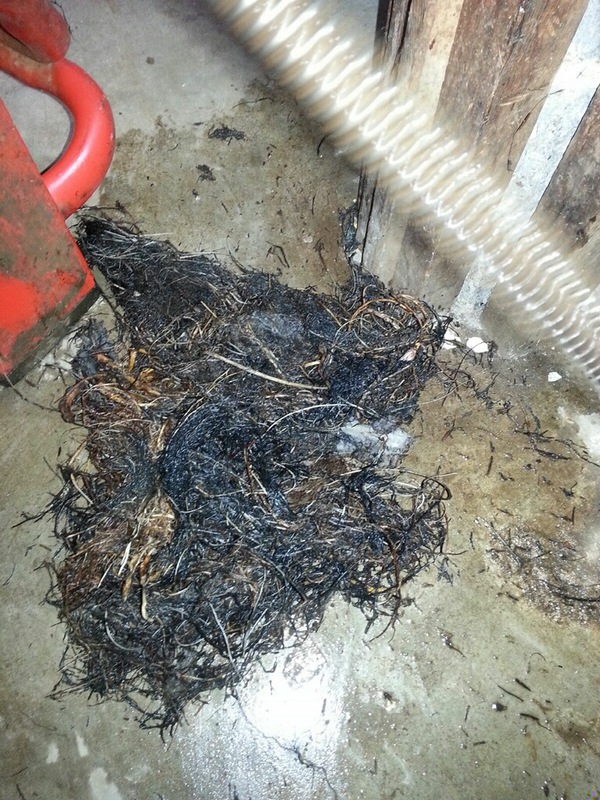 Roots are the number one cause of clogged sewer lines. Sure offset lines and broken areas here and there don’t help but roots will always grow in. No matter if you have an old pipe going to the city sewer or a new PVC pipe roots always find their way to water. Call Hiawatha Plumbing to clean your line yearly before a flooded basement happens. A sewer back is no joke and is not fun or easy to clean up depending how far it gets into your basement. Finished basement should even have more concern. Save money and clean before your calling for emergency service.